The first Lego Movie had the surprise of its material to work with. Lego Batman had, well, Batman. What can the Lego Ninjago movie do to keep things fresh? we wondered. According to this shockingly great new trailer the answer is: A lot of things, because the movie looks downright insane. As someone not entirely familiar with the world of Ninjago—not only has it been a line of Lego sets for the past few years, it’s actually had its own successful animated TV series too—I wasn’t entirely sure going into the new movie in terms of what to expect other than Ninjas. 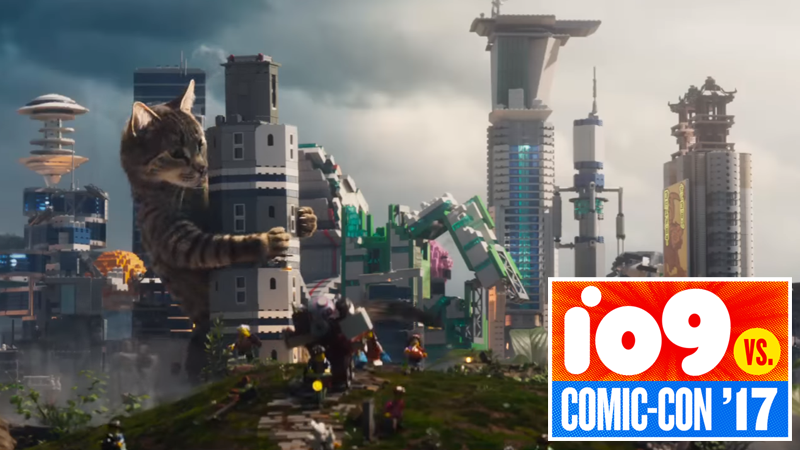 The first trailer delivered on that (with a whole heap of daddy drama issues to boot), but this one serves as a reminder that this is still a Lego movie, too, which means jokes flying at a mile a minute and some truly bonkers spectacle. Spectacle like, say, a live-action cat stampeding through a Lego city. The cat’s pretty great, as is the revelation of how main character Lloyd’s mom met his father, the evil warlord Garmadon. But honestly, the weirdest and best part of this whole trailer comes near the end, when Lloyd seemingly has one of his arms wrenched off, and it’s surprisingly graphic for a Lego movie? Like, there’s a big hole where his arm used to be! And yet it’s still funny! Well done, Lego Ninjago Movie.